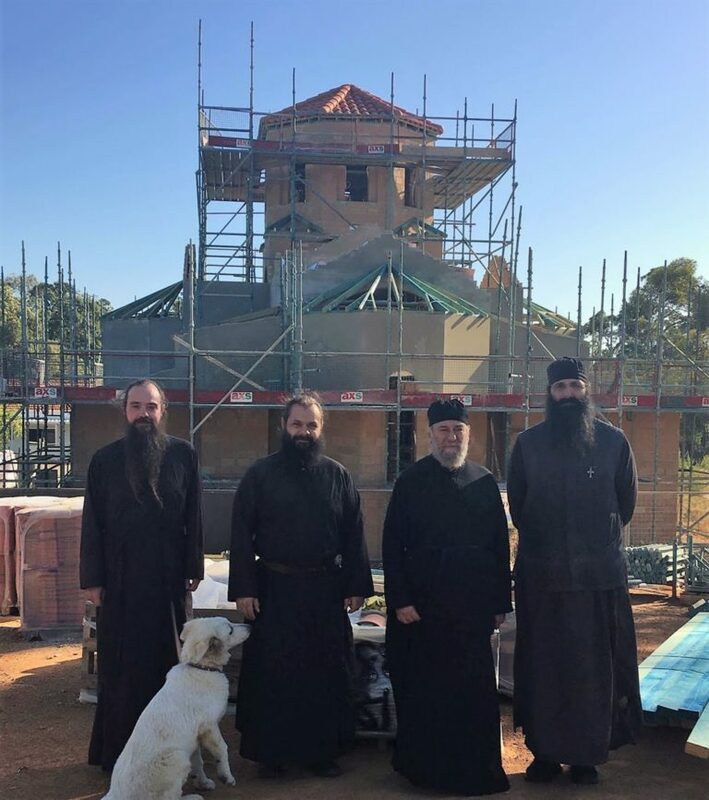 Significant progress has been made towards the completion of the first Greek Orthodox church dedicated to St Paisios the Athonite, in Perth. 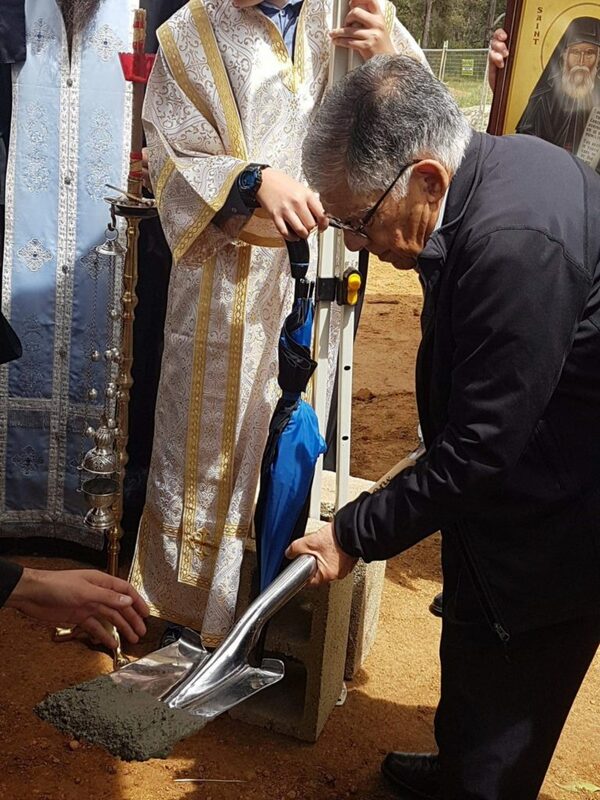 The foundation stone for the one and only St Paisios Church Down Under was laid last October with the blessing of His Eminence Archbishop Stylianos, Primate of the Greek Orthodox Archdiocese of Australia and by His Grace Bishop Nikandros of Dorylaeon. 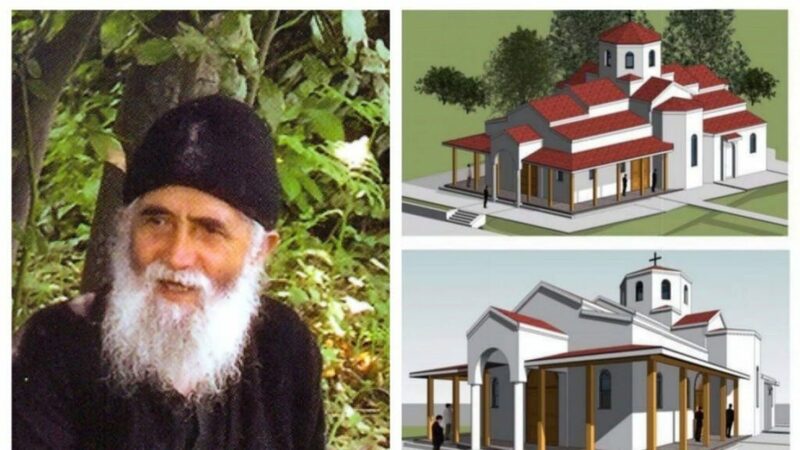 The new church will be built on the grounds of the Greek Orthodox Monastery of Saint John of the Mountain Forrestfield in Perth, Western Australia, and the project was made possible after a generous monetary donation by Kastellorizian pensioner Nicholas Kakulas, who offered to assist with the building costs in memory of his deceased wife Anastasia. His Grace Bishop Nikandros conveyed the paternal blessings and gratitude of His Eminence for his generous support of the Holy Monastery and the new Chapel. “We are eternally grateful to Mr Kakulas for always supporting every project the Monastery has had and wish to thank him for donating the funds for St Paisios’ Church to reach the lockup stage,” said Hieromonk Evagrios Koutouzis, Abbot of the Holy Monastery of St John in an interview with Neos Kosmos. Prior to settling in Australia, Hieromonk Evagrios spent 15 years as a monk in Mount Athos where he met St Paisios. “It truly is a blessing for us to have young Orthodox priests in Perth who have the ability to speak both English and Greek fluently, a skill that helps them connect with the younger generation and form a wider community within the Greek Orthodox church. “This results in a significant increase of young members and church goers who seek the fathers’ blessing and spiritual guidance irrespective of whether they are of Greek, Romanic, Russian or Bulgarian descent,” said Bishop Nikandros who last Sunday welcomed Australian monk Aaron and Romanian chanter, Ioan, in the Monastery during his scheduled visit in Perth. According το writings by the Ecumenical Patriarch Bartholomew of Constantinople, he contributed significantly towards the revival of monastic living, which was witnessing a severe decline during the 1960s. St Paisios was unanimously accepted by the Holy Synod of the Greek Orthodox Church and was canonised on January 13, 2015 by Ecumenical Patriarch Bartholomew and the Ecumenical Patriarchate. Archbishop Stylianos used to visit St Paisios at Mount Athos often, in order to discuss spirituality and various other religious matters together. He had a high regard for Paisios due to his deep spirituality and he organised the monk’s visit to Australia in 1977, along with theologian Vasilios Gontikakis, who later became Abbot of the Iveron Monastery of Mount Athos. St Paisios also had immense respect for Archbishop Stylianos, therefore, he accepted his invitation to visit Australia where he expressed an interest in becoming a monk at a monastery that he suggested built between Sydney and Canberra.